Hello and Welcome to our preview for Bangladesh vs West Indies ODI match. 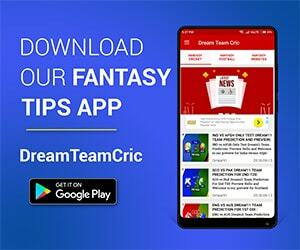 We are covering WI vs BAN Dream11 Team Prediction, Preview and Probable Playing XI for the ODI match. The match is to be played at Providence Stadium, Guyana. After an easy victory in test series for West Indies, It is time for the 3-match ODI series. West Indies would hope to continue their dominance as in tests however, Bangladesh would also try to get some momentum from their limited over success in past and expect a better performance from their team. Bangladesh faced UWI Vice Chancellors in the practice match ahead of the series and won it by four wickets. Liton Das, Mushfiqur Rahim and N Hossain Shanto delivered with bat and Rubel Hossain along with Mosaddek Hossain took plenty of wickets. Bangladesh will be boosted by return of Mashrafe Mortaza their experienced leader to lead the team from front. Also Mustafizur Rahman is fit and fine and can be lethal in West Indian pitches. Bangladesh will hope their limited over stars to put a good show and win the first ODI of the tour. West Indies will want a similar performance from the team as in tests. Their lethal fast-bowling attack which did not give a chance to Bangladesh Batsman has changed though as Kemar Roach and Gabriel are not part of ODI squad. Kraigg Brathwaite leading scorer of test series scoring 239 runs in 3 innings played is also not a part of ODI squad. 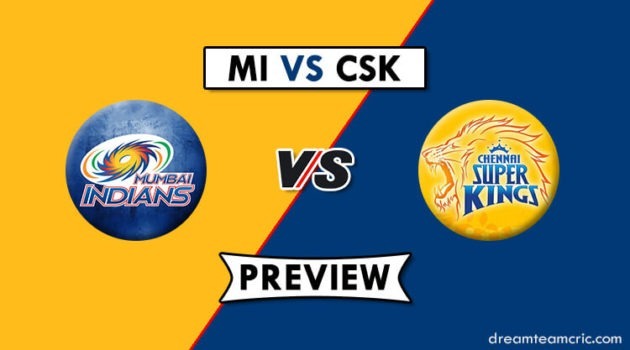 They will however be boosted by return of Andre Russell who is in good form both in batting as well as bowling. A hard-fought encounter can be expected between the destructive Windies and a strong Bangladesh ODI team. 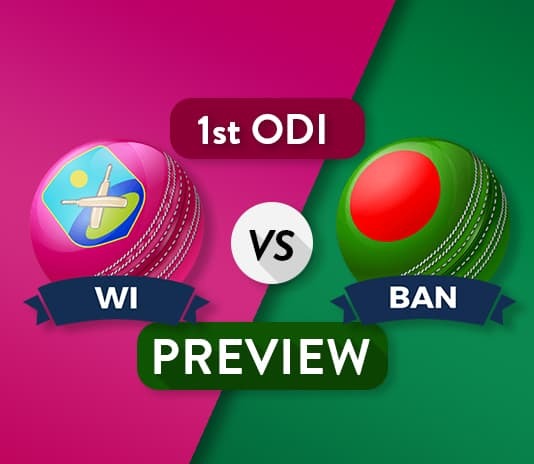 WI vs BAN, 1st ODI, Bangladesh tour of West Indies 2018. Pitch is expected to be neutral and bit unpredictable recently and has no much help for batsman and can aid spinners later in the match. Tamim Iqbal, Liton Das, Mushfiqur Rahim (w), Shakib Al Hasan, Sabbir Rahman, Mahmudullah, Mosaddek Hossain, Mehidy Hasan, Mashrafe Mortaza (c), Rubel Hossain, Mustafizur Rahman, Nazmul Islam, Anamul Haque, Abu Jayed, Nazmul Hossain Shanto, Abu Hider Rony. Chris Gayle, Evin Lewis, Shai Hope (w), Kieran Powell, Shimron Hetmyer, Andre Russell, Rovman Powell, Jason Holder (c), Devendra Bishoo, Keemo Paul, Alzarri Joseph, Ashley Nurse, Jason Mohammed. Not much changes are made from the test squad except arrival of captain Mashrafe Mortaza and few other limited-over specialists. Tamim Iqbal will open along with Liton Das. Tamim had a poor form in tests but would hope to get his form back in limited overs cricket. Liton Das showed some glimpse of form in test cricket also and a similar performance will be expected from him. Shakib, Mushfiqur and Mahmudullah will hold the middle order and all three of them are capable to score big in any match. Sabbir Rahman will play the role of finisher for his team. There is also slight chance of him coming at no.3 to bat. Mosaddek Hossain who bowled brilliantly in the practice match will play role of all-rounder for the team. Mehidy Hasan will be prefered over other spinners in squad as he took 10 wickets in 2 tests and can be wicket-taking option against West Indies destructive line-up. M Hossain, M Hasan and Shakib will lead the spin department along with part time spin from Mahmudullah. One of Rubel Hossain or Abu Jayed will make in as third seamer for the team. Rubel took three wickets in practice match and is a regular in ODI Team. Abu Jayed bowled brilliantly in Test series. Mashrafe Mortaza along with Mustafizur Rahman will lead the pace attack. Andre Russell is back in ODI squad after three years and will replace the role of Carlos Brathwaite who is not part of ODI squad in this tour. A Joseph will take place of Kemar Roach and Kieran Powell/Jason Mohammed will come in at place of Marlon Samuels who are replaced from last ODI series. Chris Gayle and Evin Lewis will hope for a good opening stand. Either K Powell or Jason Mohammed will play. Shai Hope, S Heytmer J Mohammed/K Powell will hold the middle order of the team. Jason Holder who was in lethal form in the Test series with ball will play the role of all-rounder and lead the team from front. Andre Russell will also hope to contribute for the team and give all-round performance. A Nurse, D Bishoo and R Powell will fight for two positions in the team. D Bishoo may get a go if team goes with one full-time spinner only. A Joseph, Keemo Paul will lead the pace attack along with J Holder and A Russell. Keemo Paul can also bat for his team if needed and has been regular wicket-taker for team. This team for grand leagues. Captain and Vice-Captain choices: J Holder, Shakib, A Russell, E Lewis, S Hope. For grand leagues: T Iqbal, L Das, C Gayle, M Mortaza, K Paul, Mahmudullah, M Hasan. If you liked this, then follow us on Twitter for Latest Cricket News.